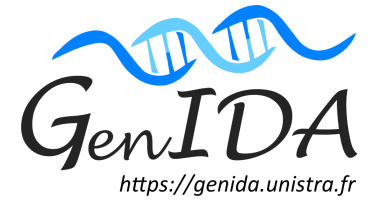 The GenIDA project is a cohort study for genetic diseases whereby clinical information is entered and updated by the family themselves. The aim is to collect medical data to help gaining better knowledge on the evolution of the disease over life. This is extremely useful in Cockayne syndrome research because of the low frequency of the disease and the geographical dispersion of the patients. Two online questionnaires allow providing and updating the relevant health information: a CS specific questionnaire (15 questions) and a main questionnaire (46 questions). The data is kept anonymous and are stored on secured servers hosted in France. Anonymous summary of the data will be publicly available for families and for health care professionals. the more regular participants, the more informative will be the results.